This topic was explored during a roundtable discussion organised by the ACCA in Singapore yesterday. Chaired by its President, Brendan Murtagh, the roundtable gathered distinguished personalities across the board to share their views and thoughts. They include David Gereld, the President and CEO of Securities Investors Association Singapore, Yeoh Oon Jin, Head of Assurance Practice, Pricewaterhouse Singapore and Dr Ng Boon Beng, Finance Director, Oracle Malaysia. I was there representing the Asean Federation of Accountants. The value of audit was lengthy discussed especially on the background of corporate failures, declining public confidence and the widening expectation gap. 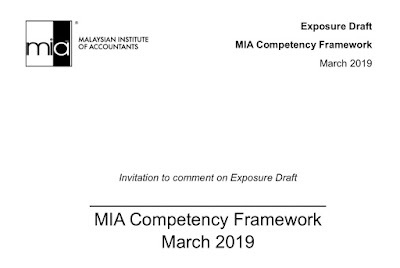 A number of other issues were explored such as the possible widening of the audit scope, communication and alternative assurance services for the small medium enterprise sector (SMEs). The panellists generally agreed that audit has value. However, almost everybody supported the view that auditors have to communicate more effectively to the shareholders and stakeholders. This would require the present audit reporting framework to be revamped. In the area of audit for small medium enterprises, it was agreed that establishing audit threshold is necessary to elevate the burden of compliance from the smaller SMEs. The level of threshold should be determined based on the level of economic development of the jurisdictions concerned. The roundtable also concluded that the auditing profession should also consider opportunities in the wider audit function especially relating to the environment and sustainability. Accounting profession around the would should not let this opportunity to be seized by other professions and accountants are in the best position to take up the role. It was a good thing that the Round Table discussed the possibility of differentiating auditing needs of the SMEs. The challenge then is to engage the Powers that be in different jurisdiction in a discussion towards this end. The CLRC report recommends that the authority is empowered to introduce threshold for audit. If that is translated into law, audit exemption is possible. We need to do things faster!